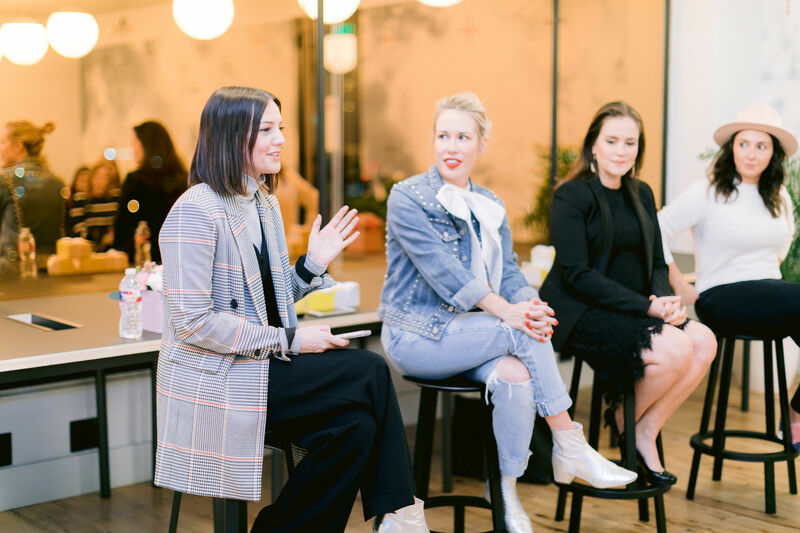 Once a niche event for fashion industry insiders, Fashion Week is increasingly an exercise in branding and marketing, with guest performances by celebrities and ever more collections available to purchase straight off the runway. In this atmosphere, it should comes as no surprise that the most talked about shows from New York Fashion Week were Maryam Nassir Zadeh, which took place at a running track with a live soundtrack by Solange, and the Ralph Lauren show, held inside the garage at his estate in Bedford, NY, with models strutting in evening gowns alongside his collection of sports cars. 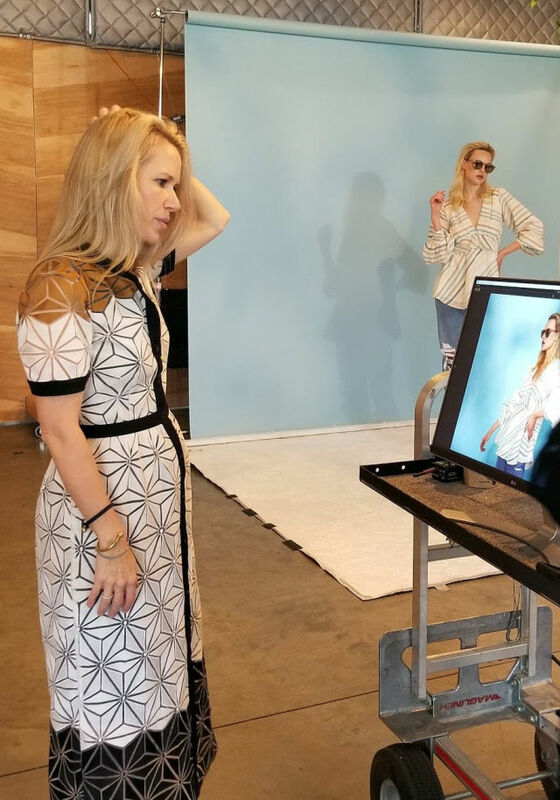 To show a sneak peek at the other, more real side of fashion week, Hunter Bell invited Houston bloggers and media to drop by her photo shoot for her new Spring 2018 collection last week and see her latest styles before the team heads to New York to officially launch the collection and meet with buyers and retailers. It was a nod to the city that she's called home for two years, and the support that her business has found here. Hunter Bell reviews images from the shoot in real time. To find the shoot, we had to walk through the coffee shop A 2nd Cup in the Heights through a rear door into an airy rear room that was turned into a makeshift studio for the day. 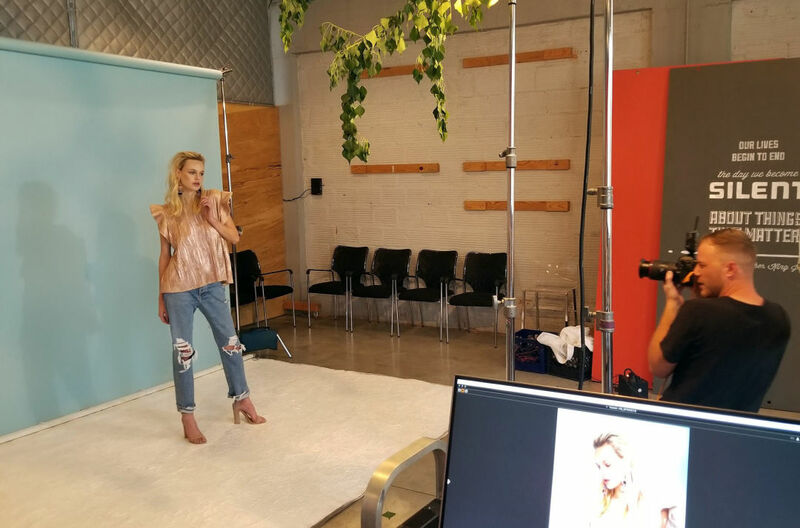 Armed with a tree branch to cast a flattering and natural shadow across the muted blue backdrop, photographer Cody Bess—also the eye behind Houstonia's fall fashion shoot—was in overdrive, shooting every piece of apparel in the collection on model Whitney. 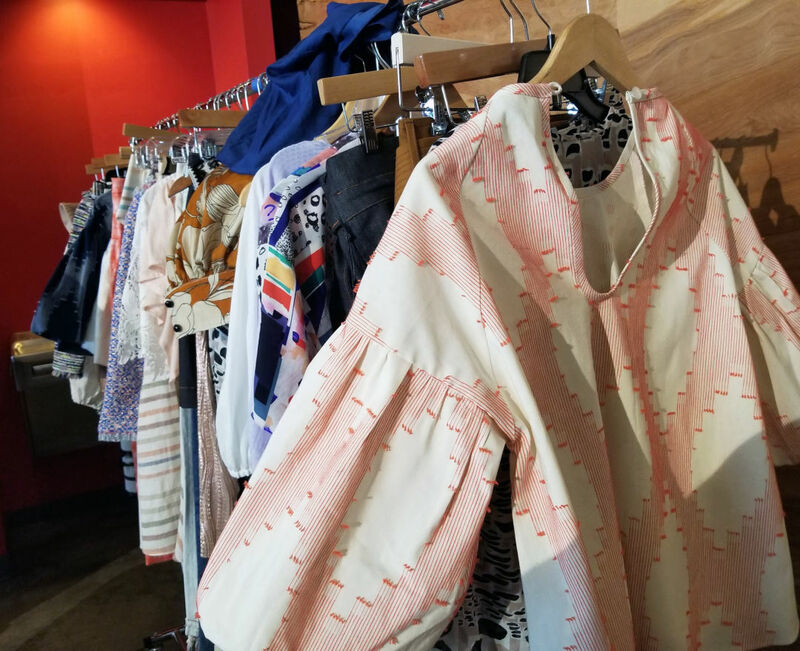 Dresses were completed first, so things were moving quickly, cycling in various blouses—it's a blouse-heavy collection—with some distressed denim and bold accessories. Bell had twins in May, and this collection is the first she designed after they arrived. 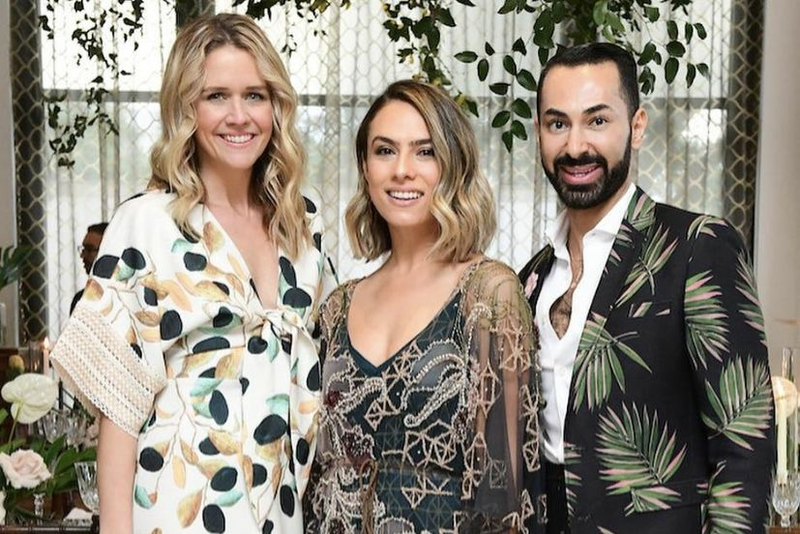 The colors and patterns are meant to be reminiscent of Morocco—Bell herself was in a black and white shirtdress from the collection with a dazzling hexagonal pattern that looked like the tile you'd find in a hammam. "But it's also more bright and cheerful," she says. "It's a celebration." Full of soft neutrals and relaxed prints, emphasis was added via pops of feminine volume—a ruffled sleeve; a swingy full skirt—and via bold textiles, from a ladylike tweed jacket with hints of bright color to a boxy blouse embroidered with a linear Southwestern pattern. Somehow, in the whirlwind of activity, Bell was approving images live from the monitor, tweaking the styling on the model (she adds a pair of reflective aviators at one point, for interest) and chatting to visiting writers about what's going on both in her life and her business. We in the peanut gallery oohed and ahhed over how the right talent can make a simple scene—a girl wearing good clothes in front of a blue backdrop—look so damn cool. Is it glamorous? No. But it looks good.